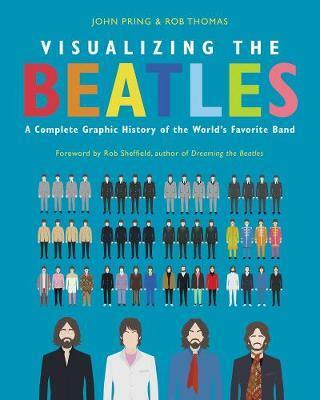 Foreword by Rob SheffieldFilled with stunning full-color infographics, a unique, album-by-album visual history of the evolution of the Beatles that examines how their style, their sound, their instruments, their songs, their tours, and the world they inhabited transformed over the course of a decade. lyrical contentsongwriting creditsinspiration for the songsinstruments usedcover designschart positionand more . . . . They also break down the success of Beatles’ singles across the world, their tour dates, venues, and cities, their hairstyles, fashion choices and favorite guitars, and a wealth of other Beatles’ minutiae. Visualizing the Beatles also includes illustrations involving the conspiracy theories of the «Paul is dead» hoax as well as A-to-Z lists of every artist or performer who has ever covered a Beatles’ song.